I met Cecilie Larsen on line and one day received an email that she was coming to Seattle for 24 hours. What? She must be traveling with a flight crew. But she wasn't. She took advantage of a good deal, and purchased a round trip ticket to Seattle. She was traveling by herself. My plan was to have her over for dinner and the next day take her to the Seattle Museum of Flight. Unfortunately scheduling called a couple days earlier and I arrived from Amsterdam the same day she arrived... and needed sleep. So I drove her to her hotel downtown, and picked her up the next afternoon to take her to her return flight home. The adventure of the city would be on her own. As we drove down I-5, headed to the airport, I pointed out the gorgeous view of Boeing field, looked at my watch and then said, "Do you have time to at least do a drive by?" And that's what we did. We didn't get inside the museum, but good things take time. We got pictures. So please meet Cecilie, a dedicated and adventurous woman following her dreams. Karlene: Your love of flight and aviation is apparent. When did this passion begin? Cecilie: "I have always been fascinated by airplanes. 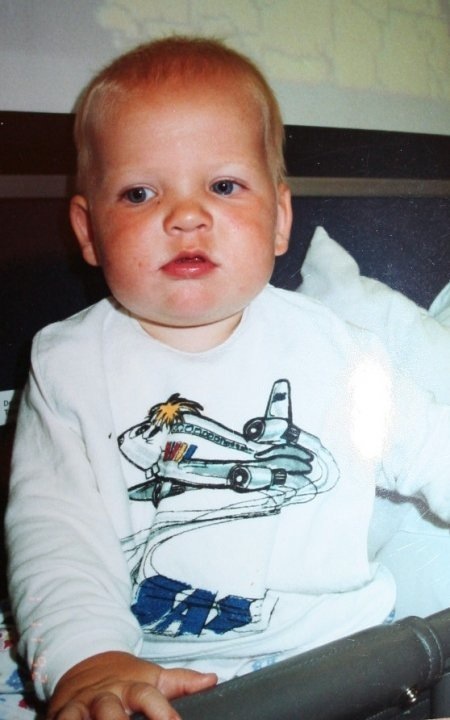 I can't remember my first flight (what a shame) because I was only 5 months old. Tower Air took me and my parents from Oslo, Norway to Miami, Florida in the 747-200. After that, I've had numerous trips around Europe and to the US. I'm the type of girl who turns her head toward the sky every time she hears an airplane. Fascination, passion and enthusiasm fuels my love for aviation." Karlene: There was a time that you decided to become a commercial pilot and headed to America to make that happen. Can you tell me about that adventure? Cecilie: "It wasn't really until I was maybe 14 or 15 that I decided that I wanted to become a commercial pilot. No one in my family are pilots, so I didn't really know where to start looking for flight schools. Thanks to the internet, I could narrow my search down to a few, very good schools, all which were located in the US. 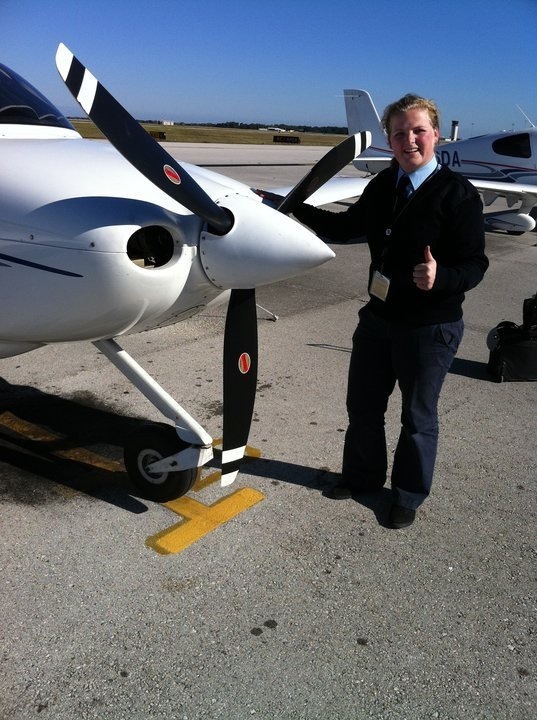 "In October 2010 I embarked on my biggest adventure thus far, moving to Florida to start flying. What a better place to go flying than the Sunshine State. It was an exciting time for me, and in less than six months I went from 0 hours to my private pilot license and instrument rating, graduating with 80 hours in my logbook." Karlene: What happened with school in Florida? Cecilie: "Unfortunately, things happen and plans change. Illness in my family, plus some other factors, made me put my flying career into a holding pattern. I moved to Norway in July 2011, but my plan is to start training for my commercial license in October/November 2013." Karlene: I'm excited you're coming back to the U.S. for your flight training. But why here? Why not in Europe? Cecilie: "I choose to do my flight training in the US, rather than Europe based on a few different things. Expenses is one of them, and secondly I want to become a Certified Flight Instructor. 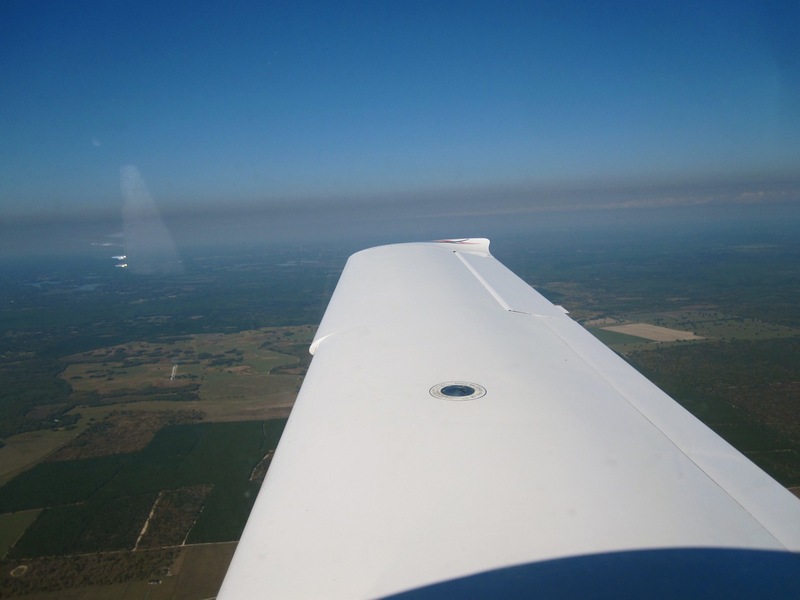 CFI is a very good thing, because it doesn't just allow for building flight time and experience, but I will also be able to share my love and passion for flying to anyone." Karlene: You've been sharing your passion of flying with many through your blog, and your photos with me. I also know you have a couple pictures that are extra special. "My first solo flight! First solo is probably that one flight a pilot will never forget. I did mine on March 14, 2011." 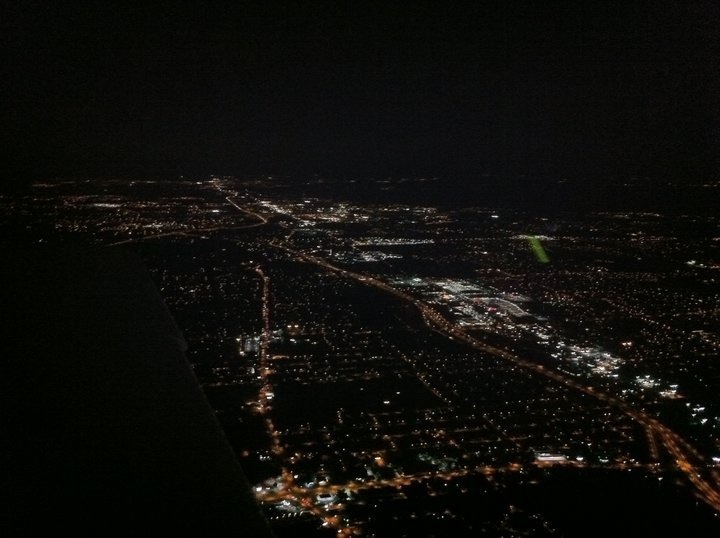 Karlene: Solo flights are always memorable, can you tell us about yours? 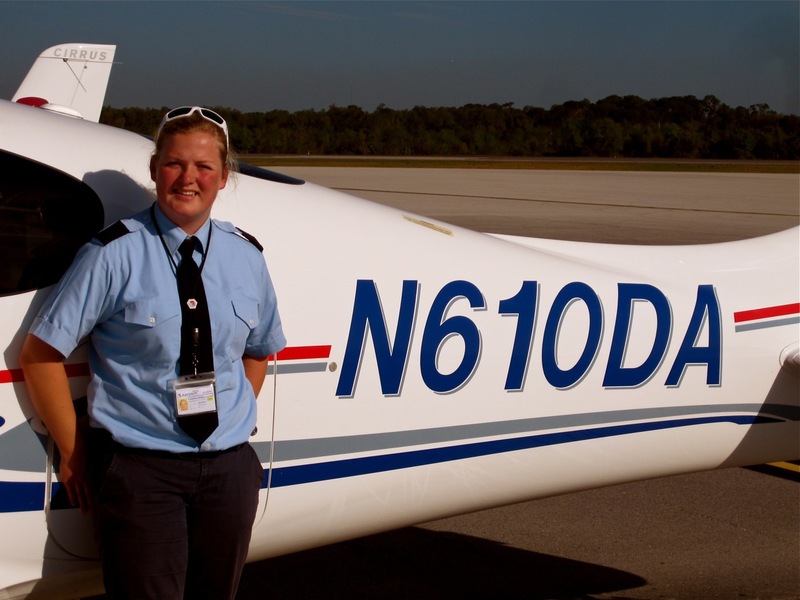 Cecilie: "I was so nervous, but once I got into my airplane, a Cirrus (N610DA) everything else fell into place. I did 3 laps in the traffic pattern with my instructor next to me, and after 3 perfect landings, he climbed out of the airplane, and it was just me, the Cirrus and a few thousand feet of runway. As I applied full power, I just smiled. I couldn't think of a better feeling, than when I pulled the side stick and climbed out. I was smiling through the entire flight. All around the traffic pattern. It was the greatest feeling of accomplishment." Karlene: You should be very proud of your accomplishments so far. The big question is, where do you want to take this aviation bug? 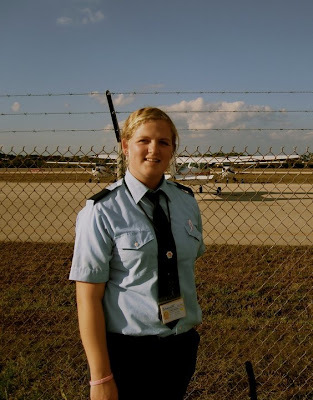 Cecilie: "After I've been flight instructing for a year or so, I will convert my FAA licenses to JAA (European) licenses. Before I started my training and invested time and money into my dream, I decided to go for a JAA First Class medical examination. I passed, and that way I know my health, vision and other things are good enough for the high standards Joint Aviation Regulations (JAR) have for their medical licenses. 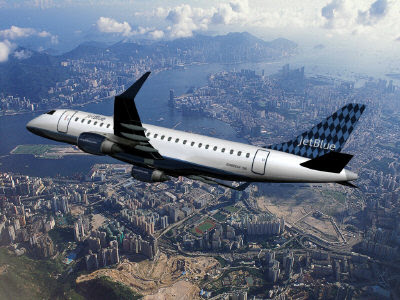 My dream is to fly for a major airline in Europe, ultimately. I know I have to accept other jobs until that time comes around. When it comes to type of aircraft, I have always considered myself a "busgirl". I love the 330s and 340s. That changed, however, very recently. 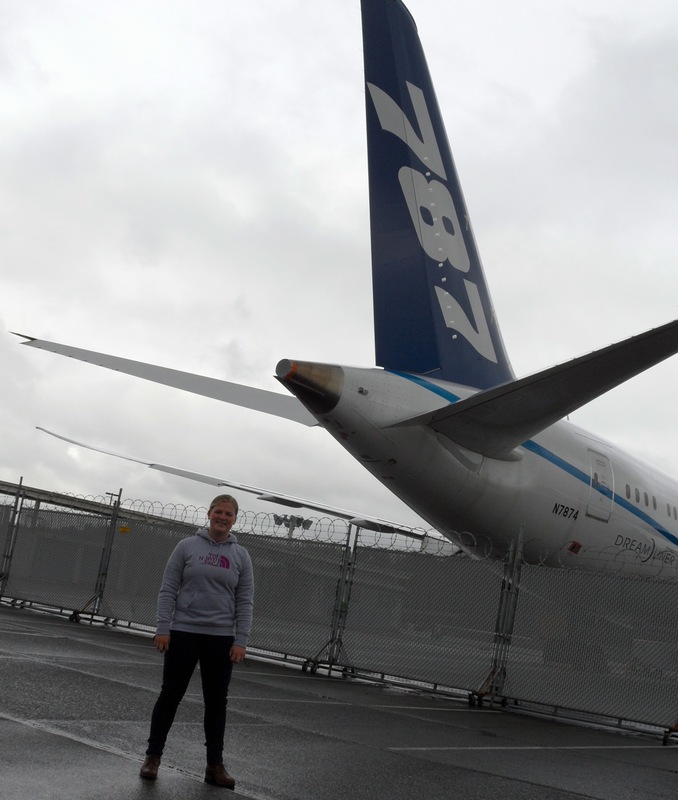 I went to Seattle and got to stand face to face with the Boeing 787 Dreamliner. My dream now is with the Dreamliner." Karlene: I have no doubt you will make your dreams come true. But with any dream there will be headwinds to fly into. What has been your major struggle with this career choice? Cecilie: "Between me and that dream, I know there will be many obstacles and struggles. I have already overcome some of them. Let's start with one obvious one. English is not my native language, Norwegian is. Even though I've had English in school since 2nd grade, and spent my senior year in high school in Nebraska as an exchange student, none of that prepared me for the technical language of aviation. With me during my study sessions, was the FAR-AIM (of course, any pilot's Bible) – and – a dictionary. It was necessary for me, so I could really understand what the books were all about. Training in the US as a foreigner can be a little complicated. F-1, I-20, I-94 will all be very well-known terms after a while. There are many rules regulating what is legal, what I can do, when I can do it, and the list just goes on." Karlene: I couldn't imagine training in a foreign country. My hat is off to you. What was your greatest struggle during flight training? 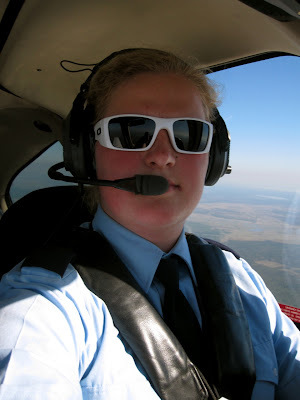 Cecilie: "When it comes to struggles during my flight training, I was a bit overwhelmed when I first started flying under instrument conditions (simulated or actual) A lot of things were going on at the same time. My instructor said I was too hard on myself. I expected “perfect” every time and got disappointed when that didn't turn out to be the case. I guess it is generally a good thing, but in the long run you just keep striving for the impossible." Karlene: Pilots do expect perfection, and we wouldn't want it any other way. So that is not a bad trait, as long as you keep striving and never get there. So tell me why you are training in the US and not at home. Cecilie: "As I mentioned earlier, I chose to do my flight training in the US rather than Norway. One of the reasons being the cost of renting planes, fuel and even a fee for landing at every airport. And besides, not a lot beats flying in the busy Orlando airspace at night, watching the Disney World fireworks from above." 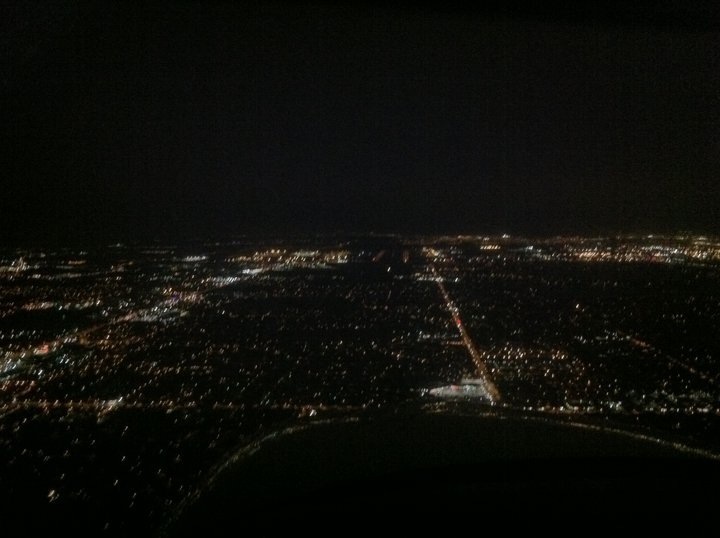 Karlene: Some of the most amazing sights are in a plane, and the Orlando airspace sounds fun. With all the fun aside, you and I have been commenting and blogging on the state of the industry. Tell me what you think the future will hold. Cecilie: "So where will this “crazy” field of aviation be in the future? No one knows. But am I optimistic? Yes, most definitely! I've met so many great aviators-in-the-making, on my journey so far, and they are in it for the right reasons. I know they have the right mindset to succeed." Karlene: You definitely have the right mindset to be a pilot. Not many people will fly to a foreign country for 24 hours. But seriously... I have been asked how I could promote aviation to young people when the state of the industry is in such chaos. Then I go and write about novel about it. As you know there are many messages, but one is to our pilots of the future. What did you take away from my novel, Flight For Control? Cecilie: "I think the current state of aviation proves to everyone that things need to change, whether that's on the airline level or the Federal level. And who can change things? Young people! 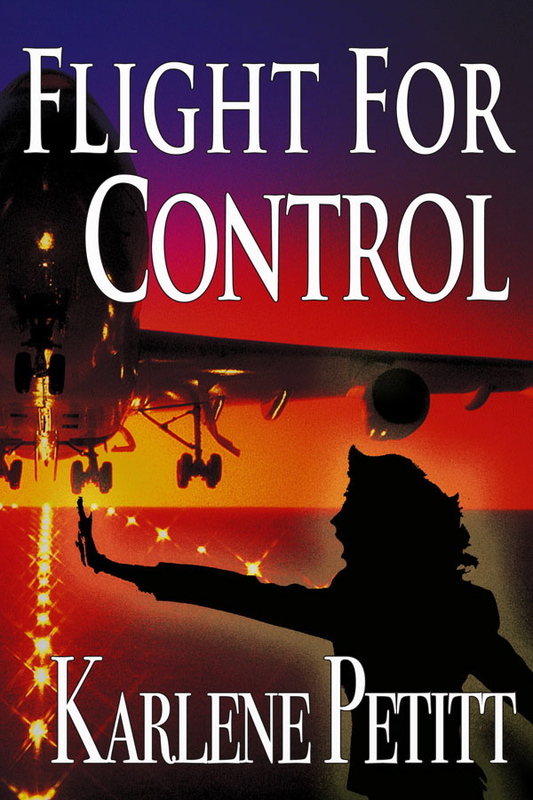 I really feel empowered by the story in “Flight For Control” - I have the control. I know that by knowing my own limitations, I can change things to the better. Working to improve lives of all people working in the aviation industry is one of my main goals in life. After reading “Flight For Control” I feel even more excited to continue on with my flight training. I want to prove to everyone that things can change, and I hope the next generation of aviators can bring that change with them! Does it mean living the dream at all cost? No. But making a few compromises along the way? Sure! I am very excited for what's to come! I know I have picked the best suitable career for me, and with support and encouragement from family and friends like you, Karlene, I hope I have what it takes to succeed!" Karlene: Cecilie, you most definitely have what it takes to succeed. You get it ~ You are the future of aviation. With passion and conviction and a willingness to not settle for anything less than perfection, and your determination to make the industry safe, will carry you far. Yes, there will be compromises, but with integrity you will never compromise safety. I'm looking forward to flying with you one day. Thank you for a wonderful interview. Please take a moment to visit Cecilie's Aviation Blog. Her writing is beautiful, and if you enter the contest, you may just win a book signing event in your town. Where in the world will I go? Maybe Norway. BRAVE NEW RADIO - LISTEN LIVE HERE! Flying is the best job in the world. But what happens when your dream turns into a nightmare? Reported by David M. Halbfinger, Matthew L. Wald and Christopher Drew, and written by Mr. Halbfinger, the New York Times, N.Y./Region posted an article on the current state of the industry, and what Regional pilots face in their daily lives ~ Pilots' Lives Defy Glamorous Stereotype. Pilots departing without being rested, education costing four times the amount a pilot's salary, marriage loss, flying hungry, crash pads, and exhaustion fill this depressing article. Who will be our future pilots if they can't afford the education because their salaries are inadequate? Is re-regulating the industry the answer? 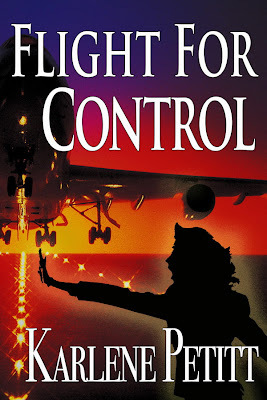 I've been asked many times if the premise for Flight For Control actually represents the state of the industry. Read the N.Y. Times article and Flight For Control then you decide. 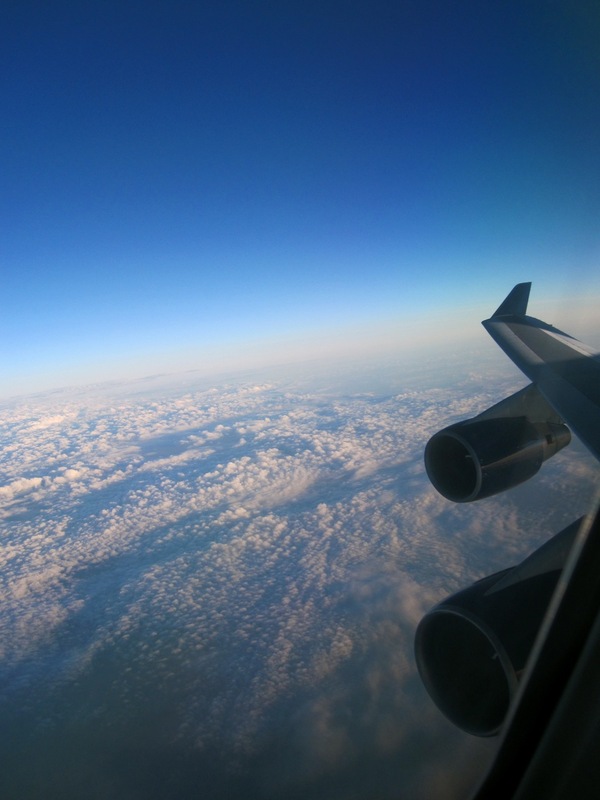 Does it get better when you make it to the major airlines? Or do you just trade one set of problems for another? As new pilots, what are your expectations and what can you do to keep yourself and your passengers safe? Comment below with the proof of purchase from either Amazon or Barnes & Noble (Nook and Kindle versions also available)” – don’t forget to include your name & e-mail! You will then be entered into the worldwide contest and I will fly to YOUR TOWN, anywhere in the world for a book signing event, and also be the guest speaker. "How far can you push a pilot before he breaks?" "Tony Antolino, a 40-year-old executive for a security firm, said the captain walked to the back of the plane, seemed disoriented and agitated, then began yelling about an unspecified threat linked to Iran, Iraq and Afghanistan. "They're going to take us down, they're taking us down, they're going to take us down. Say the Lord's Prayer, say the Lord's Prayer," the captain screamed, Antolino said." Nobody wants to believe that pilots are just people with emotional, and physical problems like the rest of the earthbound people. We are supposed to be better. Unfortunately the stress we work under and the fatigue we operate in can take hold with pilots, just as it can with anyone. What you're about to read is frightening. The Captain of a Jet Blue flight became emotionally unstable, and the First Officer saved the flight. Thanks to the quick and decisive actions of the first officer who locked this crazed captain out of the flight deck, and the passengers who took action to subdue him, this flight ended happily. What would have happened if he hadn't locked him out? Before you read the following article, please note that there are a few statements that are not necessarily true. Learning to restrain a passenger is not a required part of CRM training. And if it had been offered...then the pilot needing restraint would know what to anticipate, which could create a challenge in the process. Second ~ The only training on how to assess the mental stability of people I've ever experienced was during my MHS education. 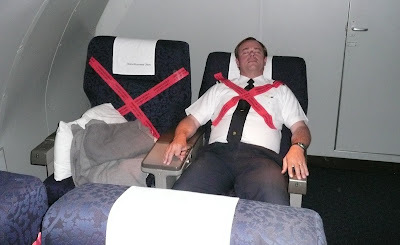 If any pilot has experienced this type of training at their airline, please let me know. That airline needs to be congratulated. But the reality is, we are trained to fly planes, not become psychiatrists. "There aren't any good procedures in place if a pilot has a meltdown in the cockpit and the cockpit door is closed, even after the 1999 crash of an EgyptAir flight, in which the pilot appeared to have intentionally crashed the plane. Even after EgyptAir there really wasn't a great new procedure. What can you do? The first officer or the captain is going crazy and then you end up with a battle on the flight deck between the two of them and that's not a good thing,"
Participate in a CONTEST and meet me? Sure! See Cecilie's Site for details! How much fun can you have when you go to America your first time and end up in Seattle? Let me count the ways. Welcome to America An! Note: It doesn't hurt when you can buddy pass in a Business class seat. 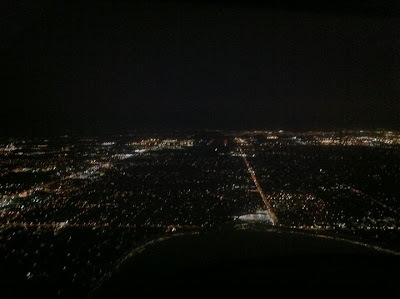 Last week I arrived in the jumpseat of Alaska Airlines after an 0200 wake up, a sim session, and a canceled flight. Despite landing 2 hours later than my house guest, we hit the ground running. A meeting at Aviation High School for the Fly It Forward event, an early dinner at Anthony's Home Port. Then the fun began. Pike Place Market with Linda and Karlene turned out to be a little bit of fun. The "First" Starbucks (And we drank a lot of this stuff!) An is addicted. Yes... that is gum all over that wall! Linda and An in Post Alley. What is a Seattle visit without a Museum of Flight visit...as the fun continues. Linda and An take flight in their simulator session. And then we drove to the other side of the airport and found our next adventure. Can you say helicopter flight? We could... and did. The best way to see the city. America, Seattle, the Space Needle and a flight around the city were all firsts for An. But the day of firsts couldn't end here. Yes... we soaked our tired feet in wax, and lounged in massage chairs as An experienced her first pedicure. A little shopping at the museum for our other house guest, Christine. Then to the Market for coffee and lunch. We dropped Christine at the airport, and Kathy arrived. Swapping of the guests. A bit of shopping and then dinner for my entire family. Seattle wouldn't be complete without a tour of the Future of Flight, at Boeing in Paine Field. The Seattle Underground Tour included ghost hunting... Can you see her? After the tour we walked to Linda's condo for wine and appetizers, then walked to the Pink Door for dinner, and entertainment. The night finished with multiple attempts of getting the perfect photo of Mt. Rainier on the drive home. We finally captured her beauty. Today An is heading back to Holland and we will all miss her. I know I will. We her next adventure planned when she returns. An, you always have place in our home and our hearts.